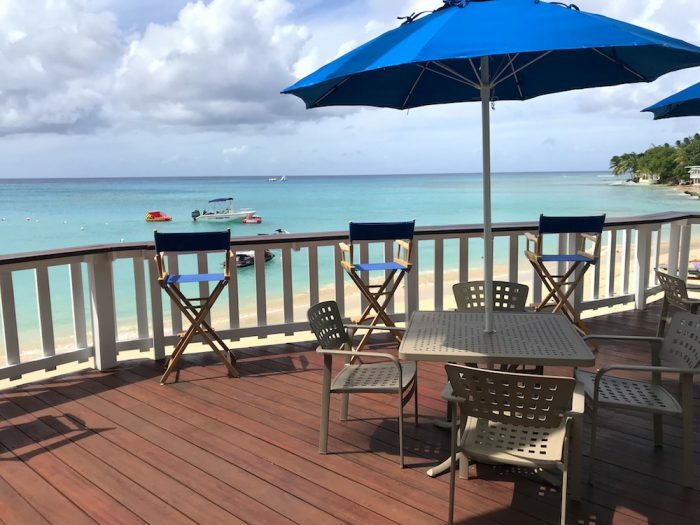 On October 1st 2018 the Royal Westmoreland Golf Resort launched the exclusive Royal Westmoreland Beach Club on Mullins Beach. The Beach Club offers a private sanctuary above the golden sands to its owners, members and registered houseguests. Day Passes are available for purchase by the public. With a Day Pass you have access to the bar and restaurant as well as the beach chairs. Day passes can be collected from the Beach Bar directly – contact Ms Tabia Inniss (Assistant Beach Club Manager) (246) 234 2682 or email tabia.inniss@royal-westmoreland.com to arrange your Passes prior to arrival. The Bar is open from 10am to 8:30pm each day, and the Kitchen is open from 12 noon with last orders taken at 7pm.